The One to take emerging markets by storm? 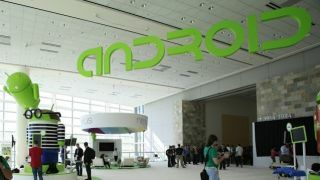 Google didn't just talk Android L at its I/O conference earlier this year, it also launched Android One - a project aimed at delivering smartphones to emerging markets. The search giant did say the first handset would arrive in "the fall" of 2014, but a new report from the Economic Times reckons it will touch down in October. Apparently Google is going to push the $100 (about £60, AU$106) smartphone in a big way in developing countries, such as India, with a huge marketing campaign planned for the arrival of Android One. It's not clear what the final specs of the first Android One device will be, but it's expected to be produced by Micromax and an example unit at Google I/O sported a 4.5-inch screen, dual-SIM, an SD slot and FM radio. The Android One program is unlikely to make it into more developed markets, certainly in the short term, but if it proves a success - and a competitive rival to the Nokia X - we could see Google widening its availability.